Gateway Church and its worship ministry has grown to be one of the most influential in the world. They have dozens of songs among the top CCLI rankings and their song 'Revelation Song' has become one of the most beloved worship songs in churches everywhere. Gateway Church and its worship ministry has grown to be one of the most influential in the world. They have dozens of songs among the top CCLI rankings and their song 'Revelation Song' has become one of the most beloved worship songs in churches everywhere. With worship leaders and songwriters like Thomas Miller, Kari Jobe, Walker Beach, David Moore, Zach Neese, Klaus Keuhn and more, Gateway represents many powerful gifted voices joining together to equip the Church with songs of worship. 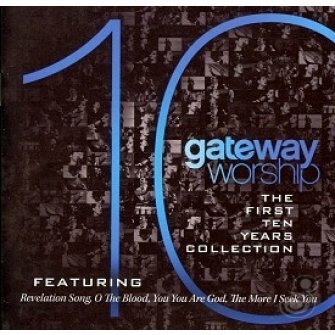 Available as a standard audio CD and CD/DVD deluxe configuration, Gateway Worship: The First 10 Years brings together the best and most popular songs from their first three releases: Living for You, Wake Up the World and God Be Praised.